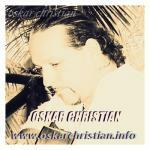 THOSE SONGS ARE COMPOSED, ARRANGED, PRODUCED AND MASTERED BY OSKAR CHRISTIAN ALL EXCLUSIVE RIGHTS RESERVED TO THE PRODUCER. SLOW FLAMECO RHUMBA , LEAD AS SEVERAL TECNICS AS FLAMENCO , MEXICAN TRIO, JAROCHO, HUASTECO, JAZZ, (OCTAVE AS GEORGE BENSON OR GYPSY KINGS,BETWEEN JAZZ, ROMANTICAL CLASSICAL TO FLAMENCO LATIN STYLES. THIS SONG IS COMPOSED AS TRIBUTE TO THE PILOTS OF FUERSTENFELD PILOTS DRIFTING THROUGH THE CLOUDS, SUCH AS BETWEEN TRIESTE (ITALY) OCEAN AND AUSTRIAN SKY. FLYING TO ITALY HAVING A MEAL AND THE SAME DAY BACK TO THE MOUNTAINS PLACE. 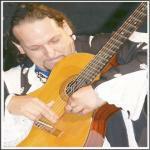 THIS SONG IS COMBINED BETWEEN, FLAMENCO, GYPSY JAZZ TECHNIC AS ONE. 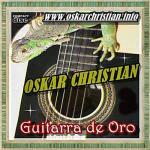 IS MADE BY AN REQUINTO GUITAR FROM MEXICO. 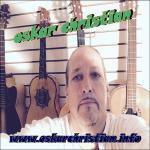 USED TECHNICS; FLAMENCO, MANDOLINE TYPES, GYPSY JAZZ, GEORGE BENSON TYPES, LUTE FEEL. 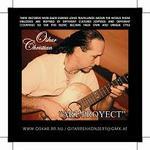 A EASY GOING SONG FLAMENCO WITH GYPSY JAZZ FUSED - A TRIBUTE TO THE GYPSIES FROM EAST TO THE WEST. 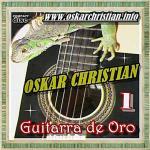 IS A MEDLEY SUCH AS EXPLAINED BLUE BOSSA (KENNY DORHAM ) AND SUNSET GROOVE (OSKAR CHRISTIAN) PLAYED ARRANGED PRODUCED BY OSKAR CHRISTIAN SPECIAL WAY RECORDED WITH AN HANDMADE REQUINTO. WE TRAVELED ARROUND WITH A BAND IN SARDEGNIA , GETTING INTO INPROVE AND TOTAL FREE WAY TOGETHER CHANGES LIVE IMPROV. ETC. CREATED BETWEEN FLAMENCA RUMBA AND MARIACHI, SUCH AS FUSED TO ONE EXACTLY 1999. . OF COURSE THE IDEA OF IT WAS BASICLY CREATE NEW MUSIC STYLES, AND NEW VIBES. 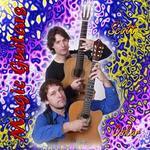 SINCE 2000 LONG BEFORE GABRIELA AND RODRIGUEZ AND MANY OTHER STARTED, THIS WAS PLAYED BY MAGIC GUITARS, SUCH AS SCOTT DENNO AND OSKAR CHRISTIAN FUSED TO ONE !! !